They can firmly navigate you through your case. Benjamin Arsenian has a unique background in the justice system, having worked as a Plaintiff’s Attorney in Personal Injury lawsuits, and as a Deputy District Attorney Level IV in criminal prosecution. This insider knowledge of the government’s prosecution process has greatly contributed to Mr. Arsenian’s success in criminal defense. He knows what it takes to win a case, and has carefully assembled a legal team to help pursue the best possible outcome for his clients. 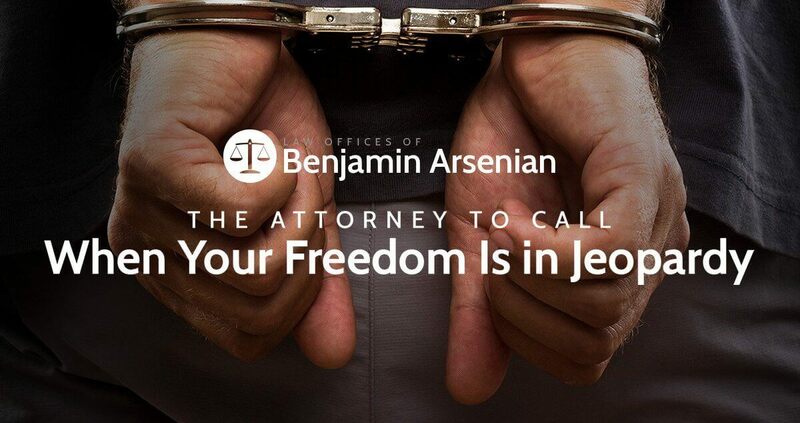 Mr. Arsenian is the founding attorney of the Law Offices of Benjamin Arsenian, a Professional Corporation. He is proud to be a member of many prestigious legal associations across Orange County, San Bernardino and Riverside County. He has an Avvo rating of 10.0 (Superb), Top Attorney Criminal Defense. The Law Offices of Benjamin Arsenian was established to serve the legal needs of those Orange County residents dealing with complex personal injury and criminal defense matters. Our firm fills a void in the Orange County legal community by offering personalized representation tailored to the individual needs of each client—at competitive rates. Mr. Arsenian’s undeniable legal abilities have resulted in hundreds of thousands recovered in settlements and verdicts. The legal team at the Law Offices of Benjamin Arsenian, PC, with an office conveniently located in Santa Ana, is at your service and has your back. The Santa Ana personal injury and criminal defense attorneys puts their 30 years of combined experience to use by looking at each case from a variety of angles, to come up with the best approach. With his excellent and diverse legal background, Mr. Arsenian is able to tailor these ideas into a workable solution for your case. Your best interests are always in mind. Call (657) 222-6298 to request a consultation with Mr. Arsenian. 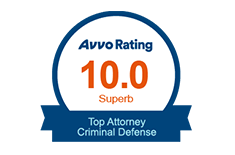 Our firm has earned a 10.0 Superb rating by Avvo for our proven legal abilities. Mr. Arsenian has gone to great lengths to obtain favorable outcomes on our clients' behalves. The Law Offices of Benjamin Arsenian are battle hardened and prepared to win. Santa Ana and surrounding areas.